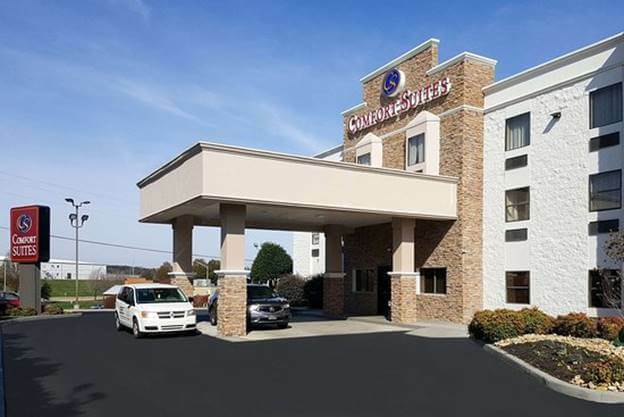 Comfort Suites Airport Alcoa located at 140 Cusick Road, Alcoa, TN 37701, USA is about 1 kilometer away from the airport. The hotel is also located near the main sights of the city as Cades Cove, the Knoxville Convention Center, Great Smoky Mountains National Park, the University of Tennessee and Maryville College. There are also various restaurants, cafes, and bars located nearby as well. Private shuttles are running every 3 minutes from the hotel to the airport. Guests of the hotel might enjoy a swimming pool, hot tub, gym, fitness and business center, etc. Each room is equipped with the microwaves, hair dryers, irons, refrigerators, coffee makers, ironing boards and cable television. The price for a one-night stay in November 2018 is $149, which already includes the fee for breakfast. 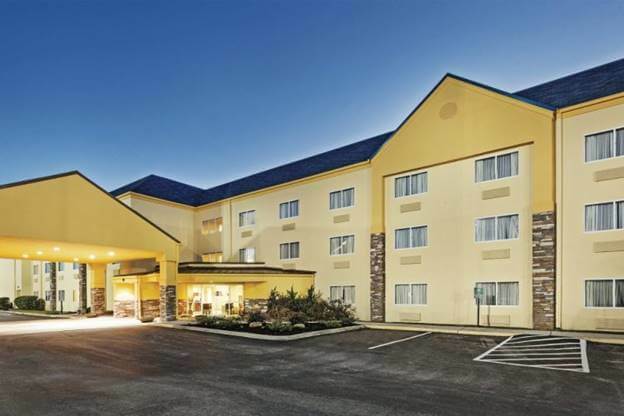 La Quinta Inn and Suites Knoxville Airport located at 126 Cusick Road, Alcoa, TN 37701, USA is about 1 kilometer away from the airport. The hotel provides shuttle rides to and from the airport for those staying there. The hotel is also located in a two-minute drive from Sherwood Chapel and Memorial Gardens. Each room is equipped with a microwave, a refrigerator, coffee-making facilities, and a hairdryer. Springbrook Park is only 2.4 kilometers away from the hotel, as well as the University of Tennessee which is in a 13-minute drive. The price for a one-night stay in November 2018 is $129, which already includes the fee for breakfast. 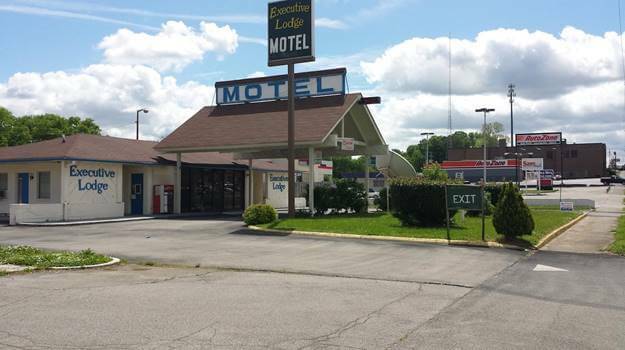 Executive Lodge located at 215 South Hall Road, Alcoa, TN 37701, USA is about 5.6 kilometers away from the airport, which is about in a 5-minute car drive. Each room of the motel is equipped with a microwave, a refrigerator, TV, telephone, a hairdryer, toiletries, etc. The price for a one-night stay in November 2018 is $70. 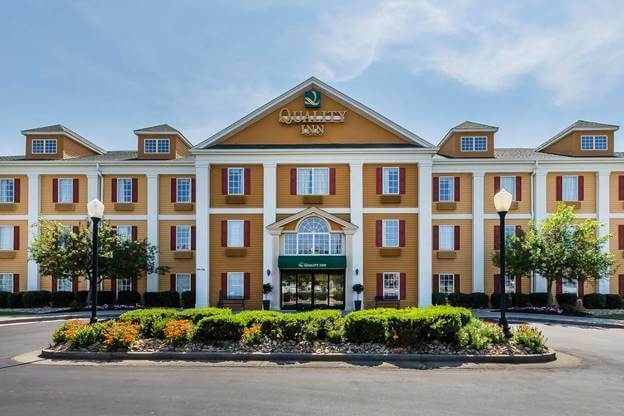 Quality Inn Alcoa located at 206 Corporate Place, Alcoa, TN 37701-1940, USA is 3.4 kilometers away from the airport. The hotel is located in proximity to the Smoky Mountain National Park and Cades Cove, as well as Maryville College and the University of Tennessee. Guests of the hotel might enjoy a business center, an outdoor pool, a fitness center, as well as free hot breakfast, free wireless high-speed Internet access, and free newspapers. Each room of the hotel is equipped with a flat-screen television with cable, desk, hair dryer, coffee maker, microwave, alarm clock, iron, and ironing board. The price for a one-night stay in November 2018 is $100, which already includes the fee for breakfast. 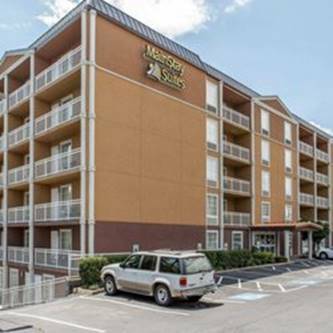 MainStay Suites Knoxville Airport located at 361 Fountain View Circle, Alcoa, TN 37701, USA is only 3.1 kilometers away from the airport. The hotel provides shuttle rides to and from the airport for those staying there. The sights located near the hotel conclude Neyland Stadium, Blount County Industrial Park, Maryville College, Knoxville Convention Center, and Alcoa Aluminum. Some rooms of the hotel are provided with the free continental breakfast and coffee, free premium cable television with movie channels, weekly housekeeping services, free high-speed Internet access, and free local calls. Business travelers might enjoy the business room facilities like copy and fax services, multiple telephone lines, workspaces with ergonomic desk chairs, etc. The price for a one-night stay in November 2018 is $119, which already includes the fee for breakfast.